More recently, Seoul is seeing one-day Korean culinary classes sprouting up across the city, aimed at providing foreigners with a more immersive cultural experience through their own takes on bibimbap or tteokbokki. The trend of the so-called “touristification” of places, where infrastructure is being changed in favor of visiting tourists, has been growing slowly but surely. This summer, anti-tourism protests took place in Barcelona, where vandals were damaging rental bicycles and slashing the tires of city tour buses. The KAIST Herald sat down with Myeongchan Ko, a member of the International Secretariat (IS) of the Undergraduate Student Council (USC), to discuss the recently implemented language exchange program. In light of the prospective rise of the international populace in campus, the International Student and Scholar Services (ISSS) has launched a dedicated academic coaching service to help international students easily adjust to life at KAIST. The KAIST Herald met with Shakil Muhammad, current president and alumnus of International Students and Scholars Academic Council (ISSAC) KAIST to discuss their motives, vision, and the various possibilities that lie ahead. 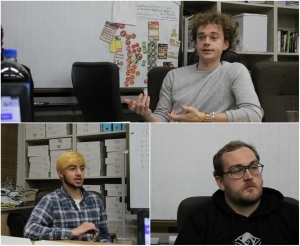 The KAIST Herald met with Purushothaman Nandagopalan, the head representative of the kitchen, to discuss its current state and some of the new changes that lie ahead. 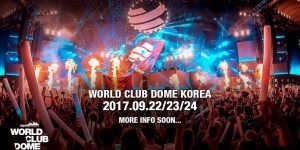 This year, for the first time in history, the world’s biggest club is coming to Asia and, more specifically, to Korea.